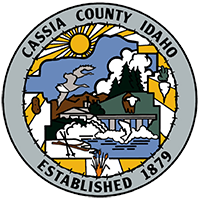 Welcome to the Cassia County Assessor’s web page. Our dedicated and State Certified staff understands the value of accurate and accessible information. We make every effort, with the resources which are available to us, to provide that to you in a timely, convenient, and efficient process. Our mission is to make this site just that. Our agency is dedicated to Cassia County residents and providing the best service and information we are able to generate. We hope that you find the information you are looking for but understand that not everything you may be looking for will be found on this site. Please do not hesitate to call our office at 208-878-3540 Monday thru Friday from 8:30 am thru 5:00 pm, for any additional requests you may have of the Assessor’s Office. We value the opportunity to serve the public and are blessed to reside and work in Cassia County. 203 East 15 th St.